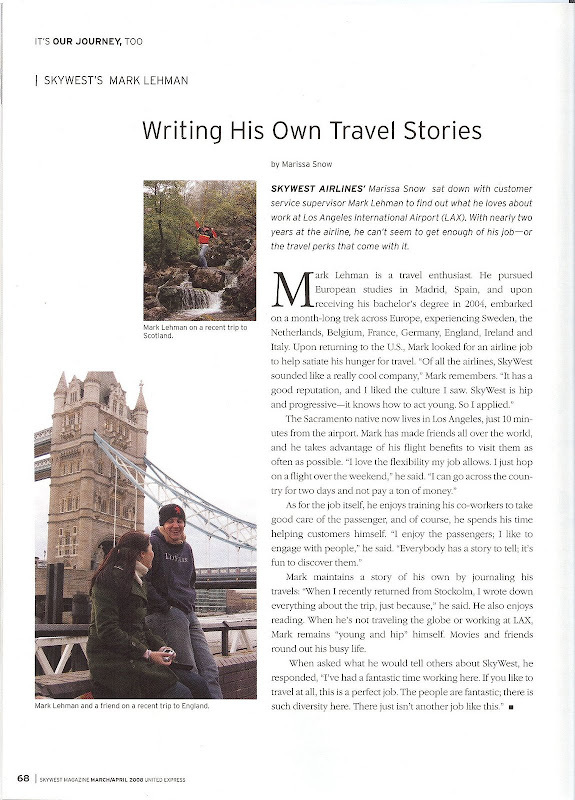 My company, SkyWest Airlines, did a feature on me for the March/April edition of SkyWest Magazine, their inflight magazine. Although they got a little mixed up on some of the details, they got the main idea correct: I'm awesome. Now playing in a seatback near you. Let's all laugh at France!